They say if you want to know about a child, well you should look at the parents. The love affection, care and commitment lavished on the children by doting parents, usually determines how the child will turn out. Well in many ways, it’s the same for cars (remember the Ford’s “new baby” adverts for Fiesta) and whether a car becomes a good car, a bad car, or in this case, a great car it’s mainly down to the love, commitment and care of the people that created it and no where is this more apparent than at Škoda. Just spend a little time with the people at Škoda and you just can’t help but be affected by the level of enthusiasm and commitment to ensure their offspring turns out well. When you actually get to meet the child, which in this case, was the stunning new Superb, you wish every parent (or should I say car manufacturer) was even partly that committed. The new Superb is not released in the UK until September 2008, so we travelled to the beautiful Czech Republic to test every model of the new Škoda Superb line up. First thing we were struck by were the cars stunning lines. Kind of old fashioned and by that, I don’t mean retro, I mean traditional quality, it exudes a “Bentley” like upper class air about itself which quality cars used to have. So many cars now have a plasticky, gimmicky kind of build and a “for today only” look and feel about them. They seem lightweight, they seem superficial; they seem frail and not at all designed for the long term and we think that’s going to come back and bite these car makers on the bottom as their products ages quickly and soon looks like yesterdays news. The Superb, by contrast will look beautiful now and equally so in 20 years time. Now that alone should be enough to get you running to your local Škoda dealer, but before I look at the car a little more closely, I want to talk to you about Škoda the manufacturer and I want to convince you see past any kind of pre-conceived ideas you might have and I want to convince you to make that journey to the local dealer. In almost every area of our lives, we listen to the professionals and the people that know the most about things. All of us want to make the right decisions, particularly where spending a lot of money is concerned. In the case of cars, well that should be no different, so it should be of interest to you that cost & reliability conscious Fleet Managers that operate 100’s of different cars, many of which are hammered up and down the motorways by business people are now much more increasingly choosing Škoda. Everyone, but everyone in the motor trade knows what fantastic cars Škoda are and respects them for that and don’t forget, we are talking about people who operate lots of cars, we are talking about people who know, people like myself who drive a different car every few days, as opposed to most people who probably drive the same car for 3 years. To highlight this, just let’s look at what the press and independent research says about Škoda. 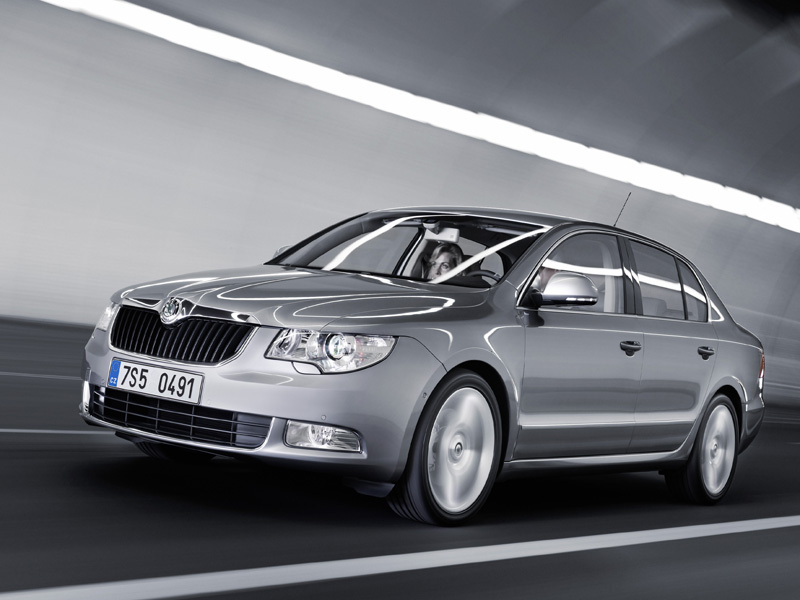 Škoda has been ranked as second overall in the JD Power Study of Customer Satisfaction in 2008. For the last 13 years, Škoda has been consistently in the top 5 of the JD Power study and it’s the ONLY manufacturer to have ever achieved that. Most of us like BBC’s Top Gear and some of you might have seen Top Gear’s sister magazine on the news stands, well would it surprise you to know that Škoda has just beaten all of Europe’s best known car manufacturers in what’s been called the “UK’s biggest car satisfaction survey” commissioned by Top Gear Magazine. For 2008, over 76,000 drivers were asked to rate 159 different cars, talking into consideration reliability, driving experience, dealer service and cost. Only 3 European cars appeared in the top 10 and they were all Škoda’s …..what does that tell you? The Škoda Superb came in 4th overall (and that’s the old model), the Octavia came in 5th and the lovely little Fabia made it into 9th place. Every other car in the top 10 was Japanese. Impressively Škoda beat its rival’s hands down, performing better than Ford, Renault, Volkswagen, Mercedes and even Porsche. So you probably wonder why I am banging on about how good these cars are, and I guess its because I want you to take a closer look at the product, I want to do you a favour, I want to give you some sound advice and I want to point you in a direction that you’ve probably never considered and ok, if you don’t decide to put your common sense head on and buy one, well at least you will come away understanding and respecting this excellent product. Getting back on track and looking at the NEW Superb, the car currently comes in one body style and that’s Hatchback……………Oh no its not, it’s a Saloon…………..oh no its not……………. its not a saloon or a hatchback……………. ITS BOTH. In true Paul Daniels style, the engineers at Škoda have developed what they call the “Twindoor” system which allows the car to look and behave like a luxury saloon, with a conventionally opening boot, yet at the touch of a button, turn into a 5 door hatch, so it’s a best of both worlds thing going on here. It really works and it’s so cool, the way it does it, check it out, you will be mega impressed. For those of you wanting an Estate, well you’re going to have to wait a bit longer as there will be one joining the range in 2010. Starting at around £15,500 the wonderful New Superb offers you huge bang for your bucks and comes in 3 flavours, S, SE and Elegance. Engine wise there are a mix of petrol and diesel units that are going to make every driver happy. Diesel engines range from the 1.9TDi 105ps, the 2.0TDi PD 140ps and for the first time the award winning common rail 2.0 TDi CR 170ps. Petrol wise, the range offers a 1.4TSi 125ps (for the eco minded amongst you) a 1.8TSi 160ps and a range topping 260bhp 3.6V6. There is also a “Greenline” version of the New Superb for the ecology conscious amongst us, which promises good fuel economy, combined with low CO2 emissions. The “Greenline” uses the 1.9 diesel and is fitted with a diesel particulate filter and its claimed it will produce just 136 g/km and deliver a mind blowing 55mpg and for a car that size that’s pretty special. We drove the new Superb over about 170km of roads ranging from motorway to twisty (sometimes unmade) country roads and it handled and rode perfectly and even on the most twisty roads, the cars suspension prevented the passengers from grabbing the in-flight sick bag. Specification wise every Superb is “to coin a phrase” Superb, with even the lead in S model getting the following as standard. As for the cars interior space, its immense, its class leading, with more rear legroom than even an S-Class Mercedes and that’s pretty impressive. The boot is cavernous also giving you 565 litres with the rear seats still up and that’s class leading also. Across the range, Škoda have realised that the most precious thing in the car is you and your passengers so all New Superb’s come with 7 airbags, driver and passenger front and side airbags, curtain airbags and even a driver’s knee airbag. ESP is also standard across the range and this attention to detail has been what’s earned the New Superb EuroNcap 5 stars for both driver and occupant protection. We test lots of cars and anyone who reads our reports knows that we don’t go into huge technical detail. We drive the cars in the way you do and we base our judgements on common sense and NEVER get carried away by some posh badge. We look for usability and reliability; we look for a car we feel we can trust to give us the things most drivers want, but added to that, we look for honesty in a car, we look for a car that we would be happy to drive on a permanent basis. The New Superb is a big impressive car with a quality look and feel and offers both hatch & saloon in just one car and frankly, we can’t believe how Škoda can offer it for the price. Going back to where we started this article, we have to say the Mr and Mrs Škoda have brought this child up exceptionally well as it embodies everything you would hope for in your offspring, its good to spend time with, is well adjusted, its intelligent, its reliable and it knows its place, it communicates well with the driver and has great road manners and of course its good looking. It doesn’t doubt its abilities and its versatile enough to take on even the most difficult tasks and now matter how you treat it, you just know its always going to love you. Whilst I accept its only half term in 2008, at this point, we really feel that the New Škoda Superb ticks all of our boxes and we just have to nominate it to be our car of the year so far and that’s no mean task as it achieved this by displacing our previous favourite, the Jaguar XF. We have given you our opinion, but just in case you still are not sure, look at what others have already said about the New Škoda Superb. The Superbs performance is impressive, while quality in cabin is better than ever. An impressive proposition and one that confirms Škoda as a major player. Deeply impressive, refined Mondeo chaser with bags of space and equipment. The Superb’s very best feature is its ride quality, which is well worthy of its name. The new Škoda a Superb is a class act. Nothing else in its class makes more sense. A car that overcomes preconceptions to exceed all expectations. It’s the kind of car that has real world appeal….that real people buy with real hard-earned money. This is a car that will surprise you for all the right reasons, from the discreet design…….to the classy interior. On the road the Superb is a very competent performer and an ideal long-distance motorway cruiser. If you would like a quotation on the New Škoda Superb or on any other car in the Škoda range, please contact us.